Almond milk and cheese is easy to make and homemade tastes much better than shop bought. This version is nutritionally superior with a high almond content and a healthy dose of protein. The almonds are sprouted to aid absorption. 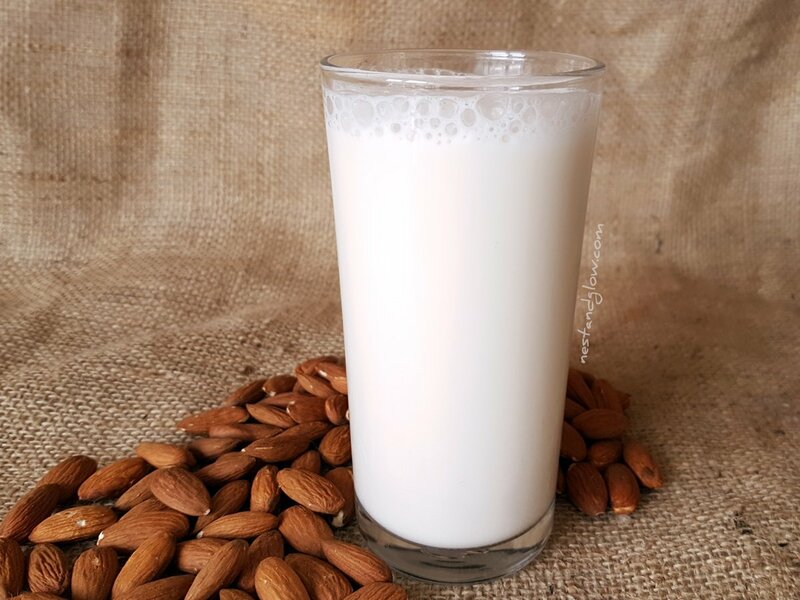 Most commercial almond milks contain very little almond (often less than 1%) and a host of other additives and stabilisers. This almond milk is great with just almonds and water but you can add sweetener and vanilla if you like. My seed milk recipes were very popular but I received hundreds of questions over what to do with the pulp. So I decided to do this recipe to show a milk and nut pulp cheese. If you don’t use the pulp for cheese it also works well in baked goodies to replace some of the flour and in raw crackers. 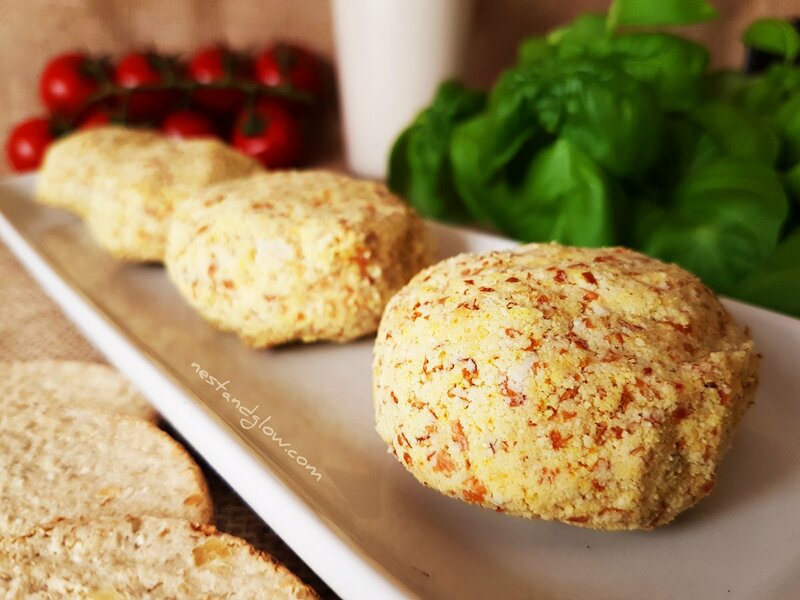 Never throw away the nutrient dense pulp after making seed or nut milk with this cheese recipe. 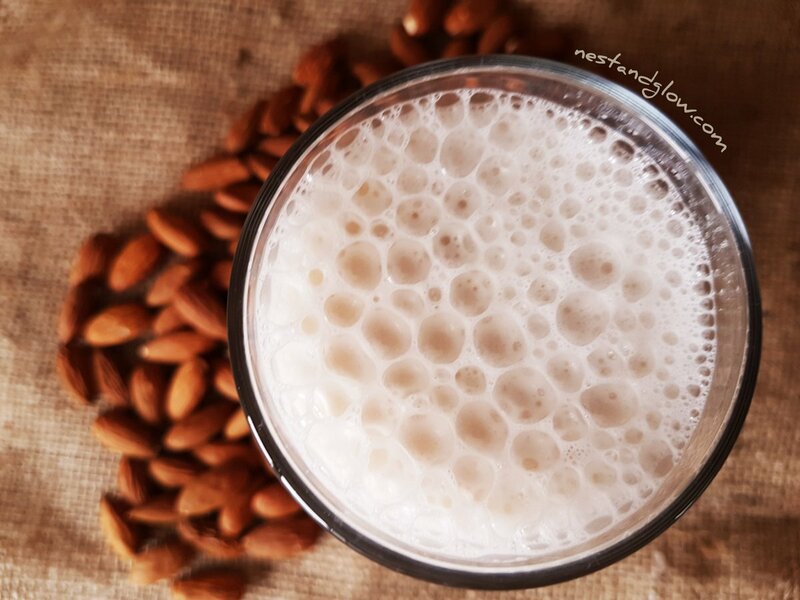 Use whole raw almonds still in their skin to make this milk and cheese for maximum nutrition. 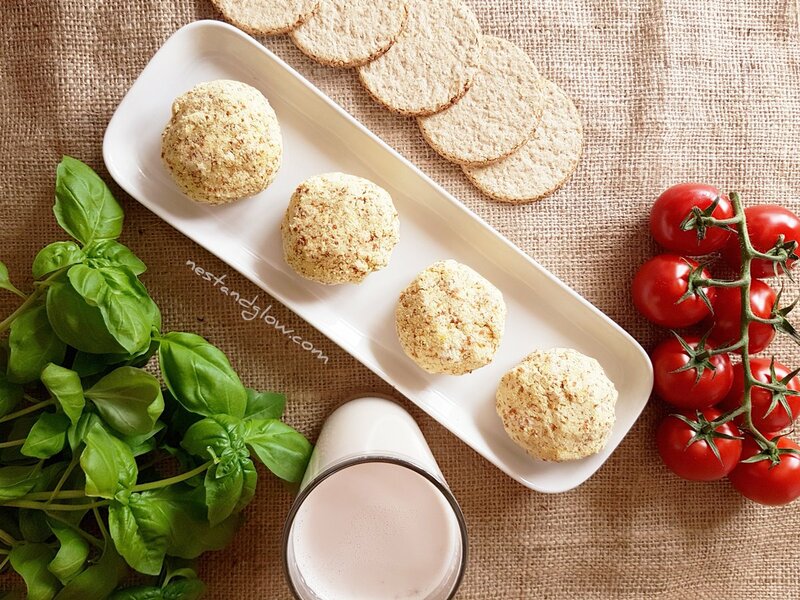 Lots of the vitamins are in the skins and this almond cheese and milk retains all of these vitamins. The sweetener and vanilla for the almond milk are totally optional. Some people just prefer a pure almond milk made with just almonds and water. To make this recipe nut-free just replace the almonds with sunflower seeds and you will get just as good tasting sunflower milk and cheese. Using sunflower seeds will give a slightly different more earthy taste. I often use sunflower seeds as they are far cheaper than almonds. Seeds need to be soaked and sprouted in the same way. I make the cheese using nutritional yeast that contains vitamin B12. This makes it a perfect food for one of the few vitamins that aren’t abundantly available in plant-based diets. You can make this without the coconut oil if you are avoiding oil – it just won’t be as firm. Use any natural salt that is not refined so still contains minerals – like pink Himalayan or sea salt. The soaking water you will not want to drink or use in any food as contains the phytic acid and enzyme inhibitors that you soak the nuts to remove. Some people use the soaking water to water plants in the home and garden. The practice of soaking and sprouting nuts and seeds is also called activated them. Cheese made from nut and seed pulp is not like a solid block of cheese. Think of it more like a crumbly and spreadable cheese. If you want a solid cheese that will grate check out my Smoked Cashew Cheese, Sunflower Cheddar Cheese or Pistachio Nut Cheese. Soak the almonds in salted water for 8 hours or overnight to sprout them. If you are short of time then a 1-hour soak is acceptable but less than ideal for maximum nutritional benefit. Drain and rinse the almonds then place in a blender with fresh water. Pour into a cheesecloth, nut bag or sieve and squeeze out the milk. Stir in the vanilla and sweetener, if desired. Empty the pulp into a bowl with all the other cheese ingredients. Mix together then roll into portion sized balls and chill. Enjoy the cheese and milk within 3 days and store in the fridge. This looks delicious!! I have found a few almond cheeses in the store that are pretty decent, but this recipe looks gourmet! I cannot wait to try it! Can the almond cheese be frozen and used later? Could you use the almond cheese in a grilled sandwich? Can you tell me how much almond pulp is used for the cheese? I make a thinner almond milk regularly and save up the pulp for recipes, so just wondering how much I would need to try the cheese recipe alone? Thanks for any info! I don’t use any oils for cooking, can I make the cheese without coconut oil? Or is there anything I can use instead? Wow this is great, thank you very much for sharing!